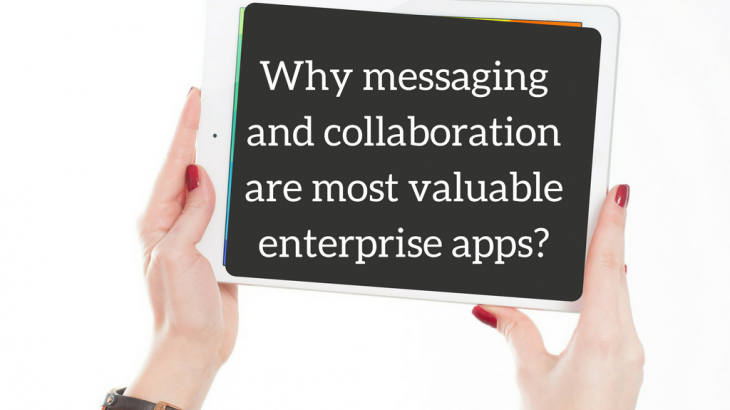 Why messaging and collaboration tools are most valuable enterprise apps? According to Adobe 2016 Mobile Apps Report Messaging and collaboration applications are the most mission-critical mobile apps in enterprise today. Irrespective of industry—from BFSI to education, retail to manufacturing—every business needs an email and collaboration tool for efficiency and productivity. More than half of the professionals surveyed (57 percent) said mobile apps for messaging and collaboration are critical to their organizations’ success, and a similar number of respondents (59 percent) said such apps will continue to be critical in 2019. Email use worldwide continues to grow. In 2016, there will be over 2.6 billion email users worldwide. By the end of 2020 Number of email users worldwide will top 3.0 billion. Nearly half of the worldwide population will be using email by year end 2020. 13 percent of identified publicly listed companies globally using one of the two main cloud email vendors. 4.7 percent use Google Apps for Work. So all these data proves that messaging and collaboration and that too email has become so important means of communication across all industry. Logix Infosecurity, being pioneer in messaging and collaboration market since last 17 years has been a one stop for all email requirement across all domains.